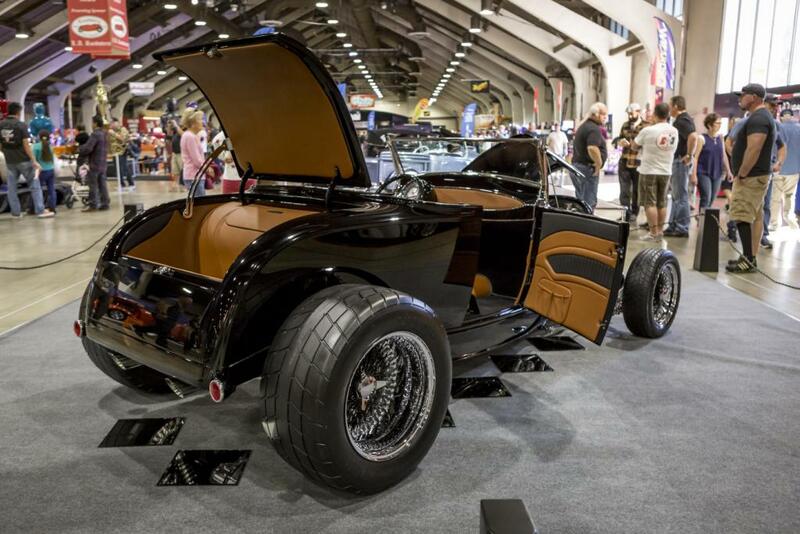 The Grand National Roadster Show – where hundreds of the best hot rods, customs, lowriders and motorcycles from across the country gather – is scheduled for January 26th-28th, 2018. 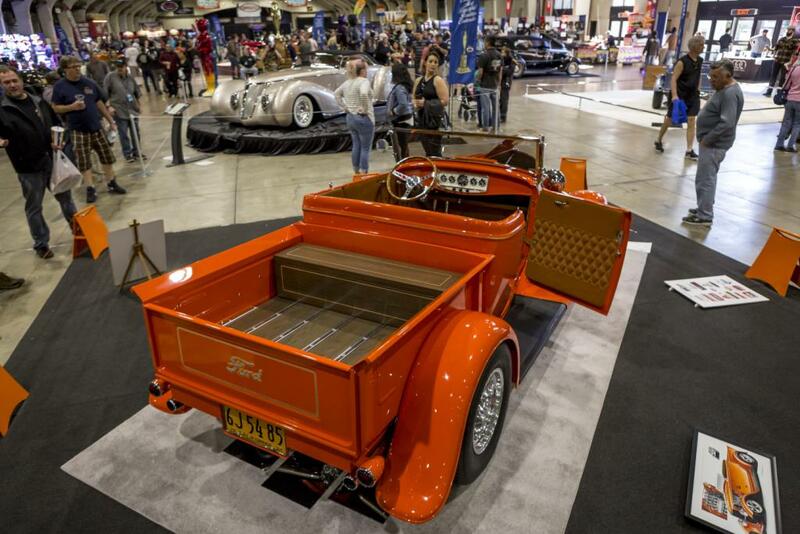 Over 400 awards are up for grabs including the coveted“America’s Most Beautiful Roadster”. 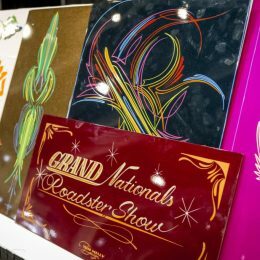 PThe Grand National Roadster Show returns to the Fairplex in Pomona, from January 26th-28th, 2018. 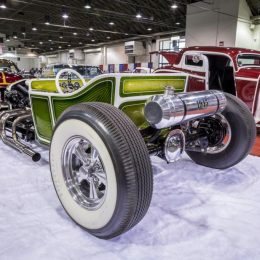 Founded in 1949, the longest continually running indoor car show in the world will feature over 1,000 stunning show cars including hot rods, customs, lowriders and motorcycles as well as special exhibitions highlighting muscle cars and traditional hot rods. 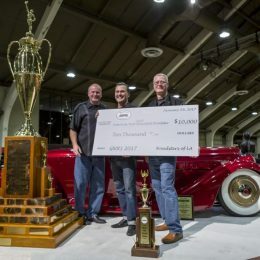 The field competing for the coveted “America’s Most Beautiful Roadster” (AMBR) award is the biggest in the show’s history, with 16 cars in the running including examples from Dominator Street Rods, Hot Rods and Hobbies, celebrity car builder Rick Dore, designer Jimmy White and many more. The winner will have their name engraved on the massive 9-foot tall perpetual trophy along with receiving a $10,000 prize. 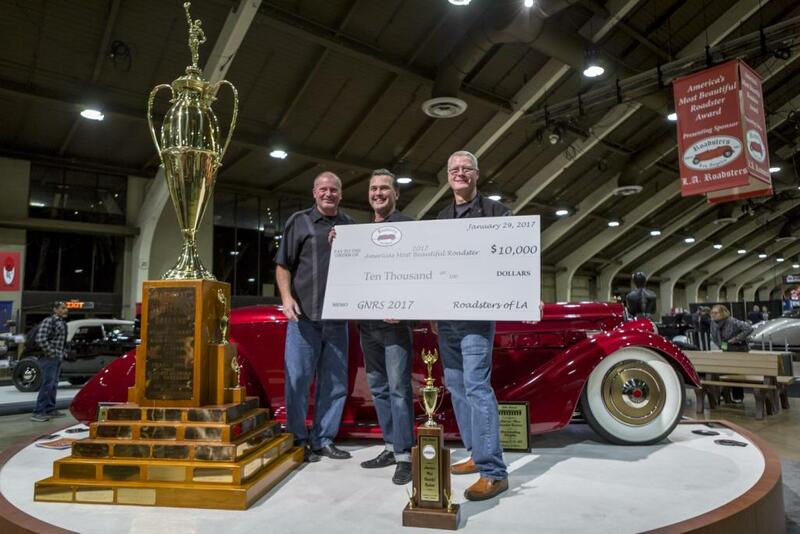 Previous AMBR award winners include legendary builders like Boyd Coddington, George Barris, Chip Foose, Blackie Gejeian and 2017 winner Troy Ladd of Hollywood Hot Rods. 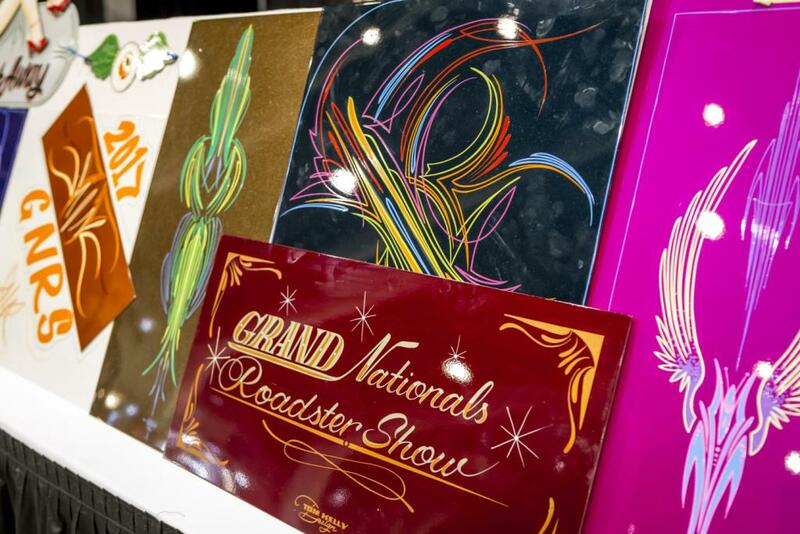 Known by many as “The Grand Daddy of Them All,” the show draws a diverse and vast selection of cars to the Fairplex every year. 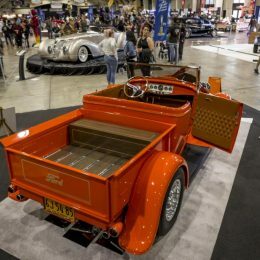 Beyond the usual categories, this year’s special exhibits include unique displays for muscle car and hot rod enthusiasts. 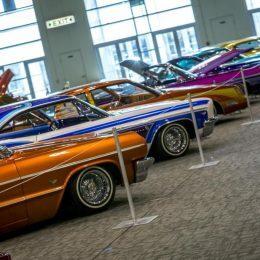 First, the “American Muscle Car Gathering” will feature over 100 muscle cars in a single hall, each a rare, stock or restored example – the best of their respective make and model. 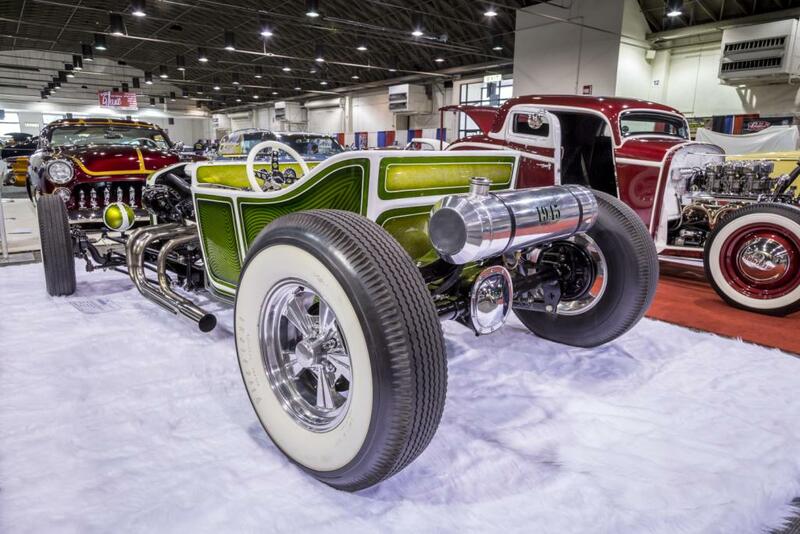 Next, the “Rolling Bones” display will feature nearly every example of hot rod from iconoclastic builder Rolling Bones, which transformed the street rod scene with a strict adherence to land-speed inspired aesthetics and traditional build techniques. Rolling Bones cars will be showcased in dioramas depicting the Bonneville Salt Flats, The Race of Gentlemen beach race and a speed shop. 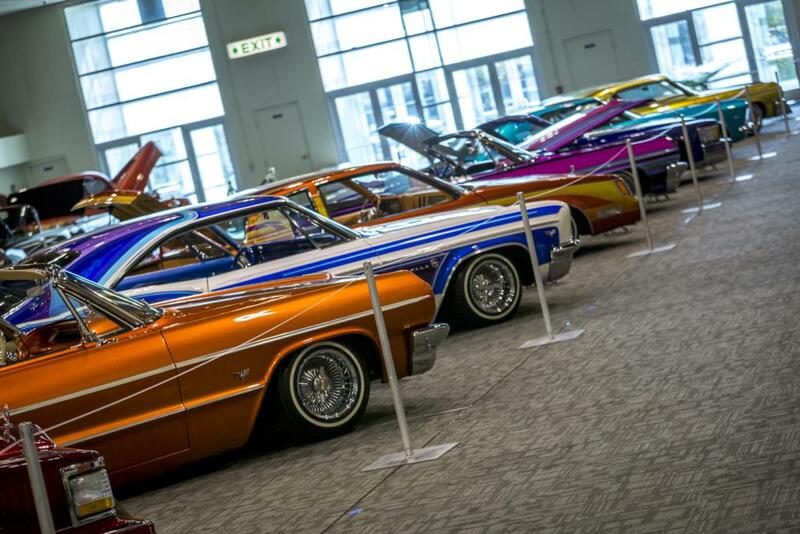 The Lifestyles Car Club will also showcase an array of lowriders in a year that has focused on the importance of Lowrider culture in Southern California. 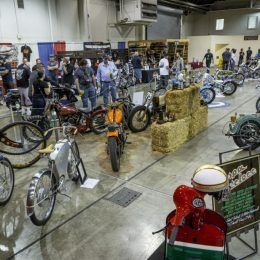 Automotive icons will be in attendance throughout the show weekend, including Dave Kindig and Kevdog from Kindig-It Design and Velocity’s “Bitchin Rides”, who will be doing appearances and autograph sessions over the course of the show. Builders including Troy Trepanier, Roy Brizio, Steve Strope, Bobby Alloway and more will be on hand, and the Road Kings Car Club will be bringing the “TV” Tommy Ivo dragster with Tommy himself making an appearance. 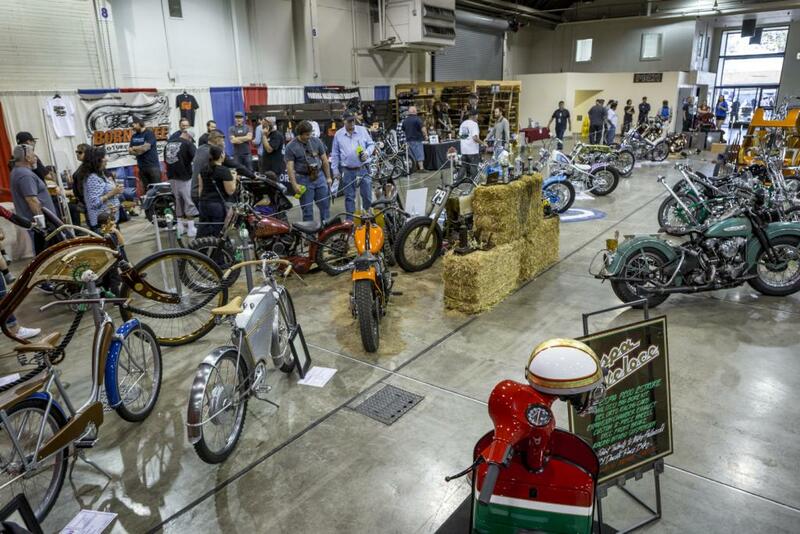 The GNRS will also feature a vast array of manufacturers displaying their wares throughout the show. Another highlight is the Pinstriper Charity Auction in building four, where some of the most talented pinstripers in the country will be selling their work and striping live with all proceeds going to benefit Camp Conrad Chinnock, a camp for children with Type 1 Diabetes, sponsored by PPG. The show runs 12 p.m. until 8 p.m. on the 26th, 10 a.m. to 8 p.m. on the 27th and 10 a.m. to 6 p.m. on the 29th. General admission tickets (13 years old and up) are $25.00 a day, junior admission tickets (6-12 years old) are $10.00 a day and children under 5 enter free. Parking is $12 and the entrance to the lot is located at Gate 9 off White Avenue. There will also be numerous food vendors on site to accommodate families. 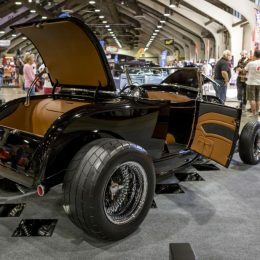 For more information about the Grand National Roadster Show, please visit www.rodshows.com/gnrs/.